Cromwell Trucks > Newsroom > Legislation > How Will Birmingham’s Clean Air Zone Plans Affect You? Drivers of lorries and HGVs who travel through the centre of Birmingham could soon be subjected to £100 per day fees after plans for the city’s clean air zone were approved. 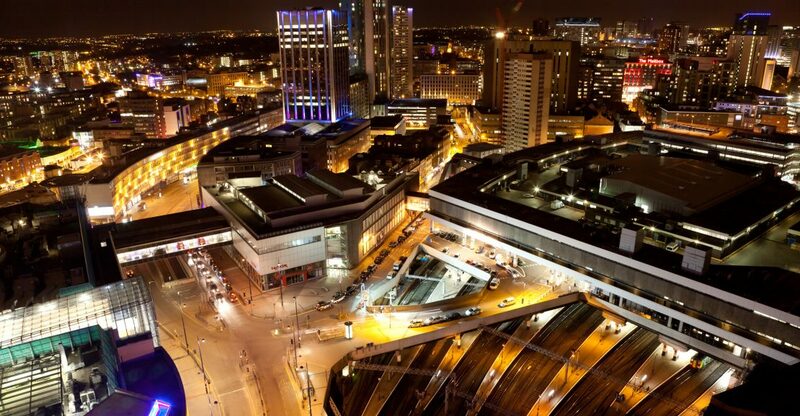 Birmingham City Council’s cabinet members voted in favour of introducing a clean air zone in the heart of the city and the scheme is scheduled to start as early as 2020. The aim of the scheme is to slash pollution levels to legally safe levels and reduce the dangerously high levels of deadly nitrogen dioxide in the air in England’s second city. Birmingham, along with five other UK cities, has come under severe pressure to cut city centre pollution. Research suggests that poor air quality has been a contributing factor in more than 900 deaths a year in Birmingham alone, with the young, the elderly and those suffering with conditions affecting their breathing most affected by pollution. But how will the new clean air zone affect you if you drive a truck or run a fleet of diesel vehicles? Drivers of Euro 6 trucks along with owners of petrol cars built after 2006 and diesel cars made after 2015 are set to be exempt from the charges. There are other exceptions – HGVs and coaches that are registered to addresses within the zone will be free, for example, as will HGVs with existing finance agreements travelling to the zone. However, that means everyone else faces potentially hefty fees. The actual charges for drivers of larger vehicles like trucks and buses have yet to be formally announced but Birmingham is looking at charging car drivers between £6 and £10 per day so truck drivers are looking at £100. If you take London’s Low Emission Zone into account, they charge pollution-pumping buses and trucks over 3.5 tonnes £200 per day and £100 for all other large vehicles! But there is no reason to turn your back on the wide selection of quality used Euro 4 and Euro 5 trucks, particularly if your business doesn’t concern itself with the clean air zones in Birmingham, Derby, Nottingham, Leeds, London or Southampton. If you do have to venture into the centre of cities then there are other ways of meeting the required emissions standards. Firstly, you can adapt your Euro 4 or Euro 5 scaffold truck by fitting an approved filter to the exhaust. You could also be smarter with your logistics if you run a fleet of dropside vehicles by using the most efficient truck for journeys into the areas that carry charges. The plans for the clean air scheme are now going to central government for approval.